Staying true to its commitment of ‘Ek India Happywala’, Sony Pictures Networks India (SPN) has partnered with Naandi Foundation to address the issue of unavailability of safe drinking water. SPN’s CSR programme focuses on creating a positive impact in the ecosystem it operates in and is built around three pillars; empowerment, education and environment. 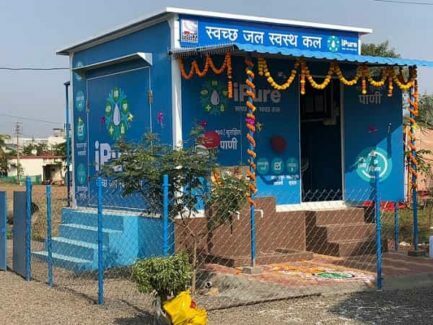 Falling under the ‘environment’ pillar of SPN’s CSR programme, the first community water center was inaugurated in Tardal village of Hatkanangale Block in Kolhapur, Maharashtra. As a part of this project, SPN will set up 30 community water centers across the state of Maharashtra. Through this partnership, the network will provide access to safe drinking water to over 1,50,000 people. The aim is to deliver efficient water purification and delivery services to the villagers. Naandi Foundation in partnership with Sony Pictures Networks will strive to ensure each community water center is built using established and proven technologies, which are best suited to local water issues in each of its geography of operations. Through its endeavors, Sony Pictures Networks India (SPN), has always aimed at empowering communities and working towards building a better society. This initiative is one of the many steps taken by the network to support the creation of a sustainable environment. SPN is committed to co-creating India’s social development agenda through its focus on various areas of social impact.